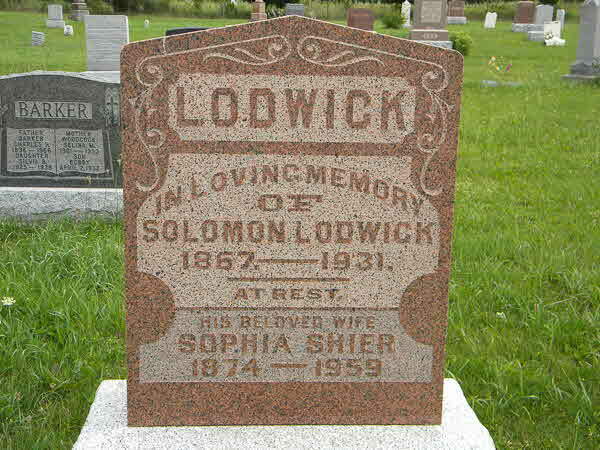 Fact 1* Solomon Lodwick and Sophie Shier-Lodwick. 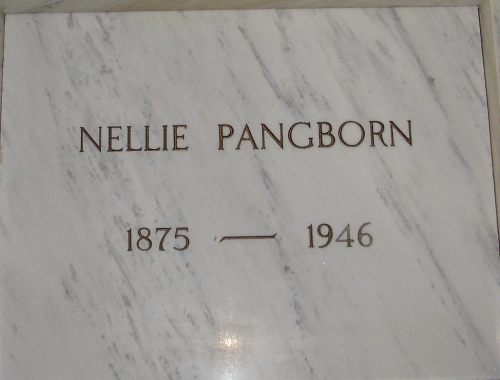 Death* He died on 5 February 1931 in Scott Twp., Udora, Ontario County, Ontario, Canada, at age 63. 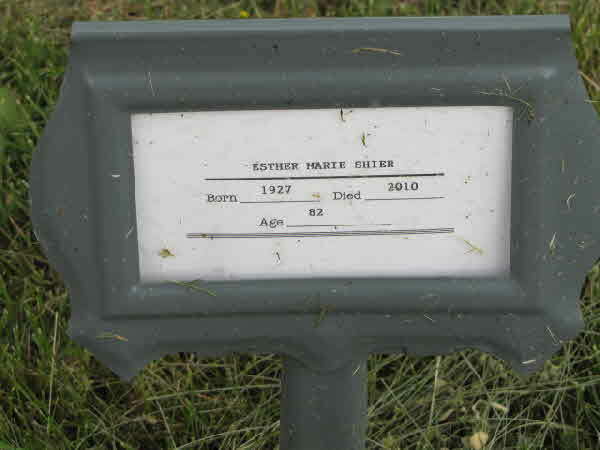 Burial* He was buried on 8 February 1931 in Bethesda Scott Cemetery, Ontario County, Ontario, Canada. 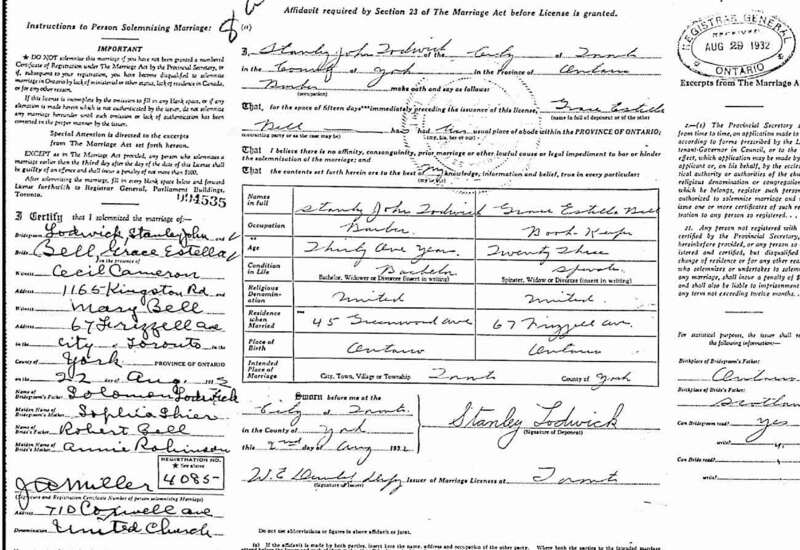 Marriage* Stanley John S. Lodwick married Grace Estella Bell, daughter of Robert Bell and Annie Robinson, on 22 August 1932 in Toronto, York County, Ontario, Canada. Birth* Vera Iola Lodwick was born on 30 May 1902 in York County, Ontario, Canada. 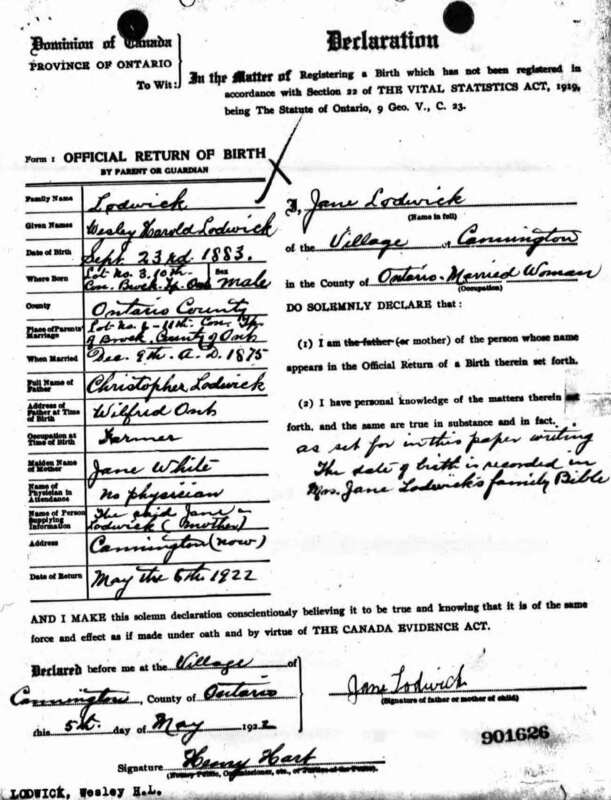 Birth* He was born on 23 September 1883 in Brock Twp., Lot 3 Conc. 10, Ontario County, Ontario, Canada. Marriage* Wesley HAROLD Lodwick married Sadie McDonald Burbank, daughter of Charley Burbank and Emily Harrington, on 29 June 1910 in Toronto, York County, Ontario, Canada. 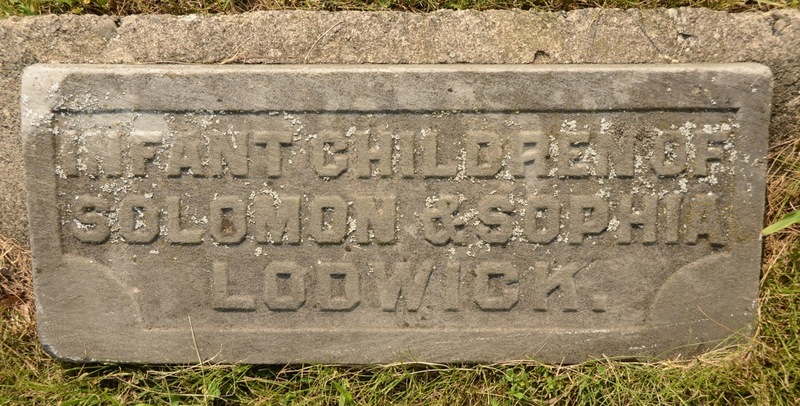 Birth* William Christopher J. Lodwick was born on 1 February 1887 in Brock Twp., Ontario County, Ontario, Canada. Birth* William Dulmage Sparling Lodwick was born on 3 December 1897 in Ontario County, Ontario, Canada. 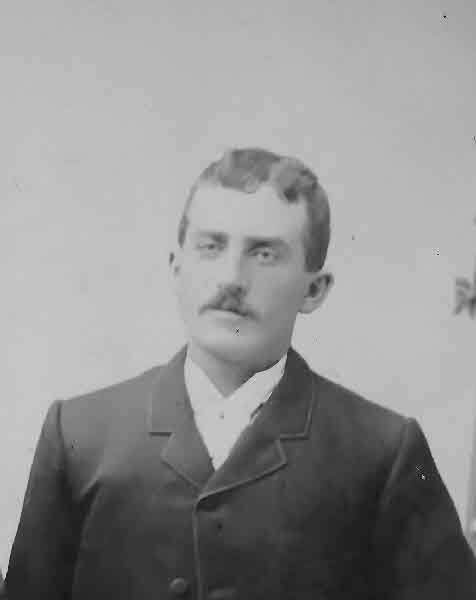 Birth* Woodbury CHESLEY (Charley) Lodwick was born on 14 October 1876 in Brock Twp., Ontario County, Ontario, Canada. 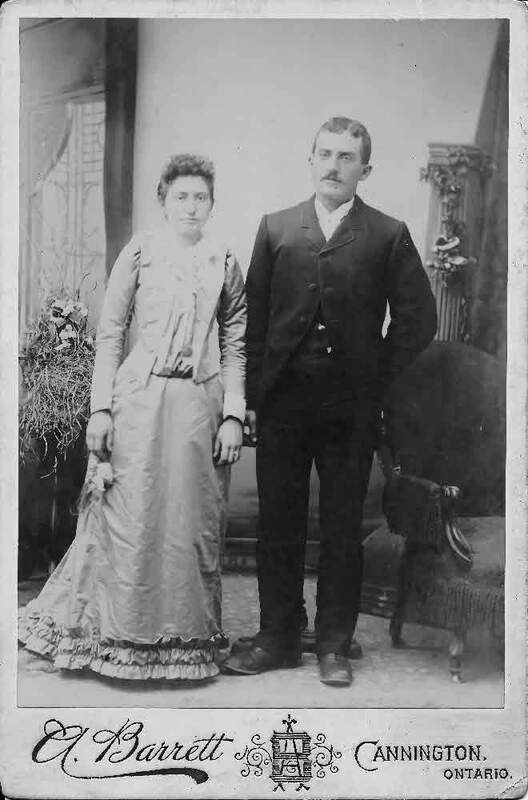 Marriage* He married Catherine McKinley, daughter of Lauchin McKinley and Margaret Stephenson, on 29 December 1904 in Brock Twp., Sunderland, Ontario County, Ontario, Canada. 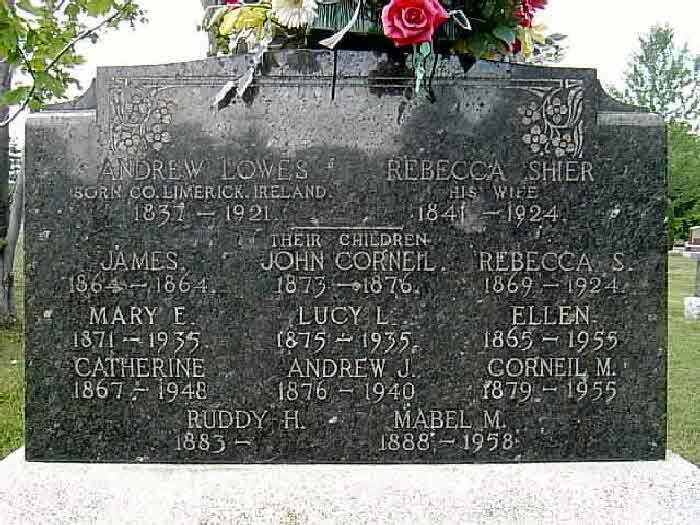 Death* Eliza Jane Long died on 14 July 1921 in Toronto, York County, Ontario, Canada, at age 80. [S1] Ancestry.ca, online \Ancestry.ca\, Smith Family Tree by Lukas_Huisman. Hereinafter cited as Ancestry.ca. 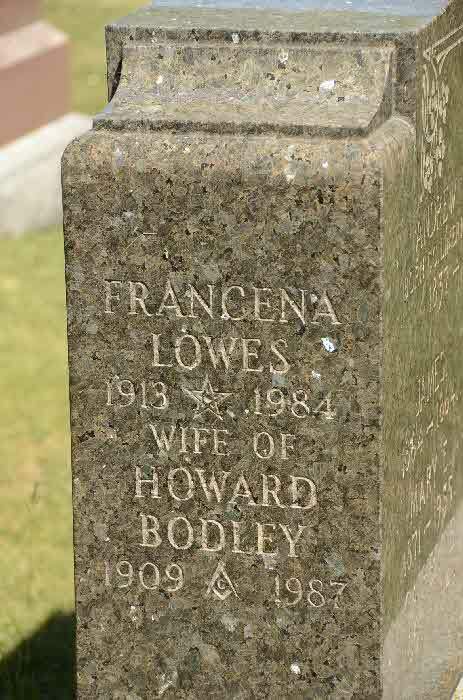 Burial* She was buried in Woodland Cemetery, Jackson, Jackson County, Michigan, United States. Burial* He was buried in Mountain View Memorial Gardens, Calgary, Alberta, Canada. 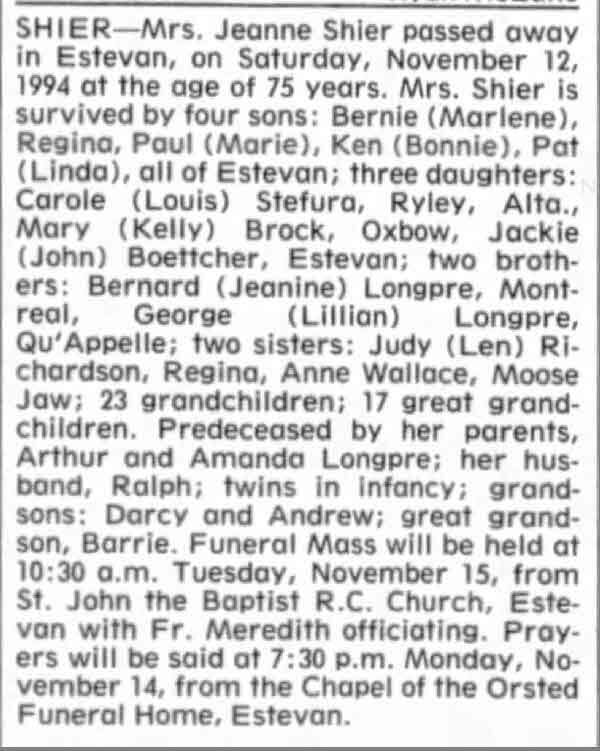 Death* Jeanne Imelda Marie Longpre died on 12 November 1994 in Estevan, Saskatchewan, Canada, at age 75. 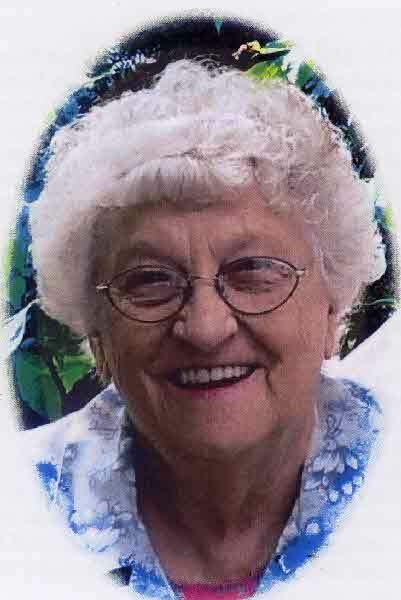 Death* Esther Marie Lorenze died on 16 August 2010 at age 82; at Manitou Lodge in Watrous, Saskatchewan. 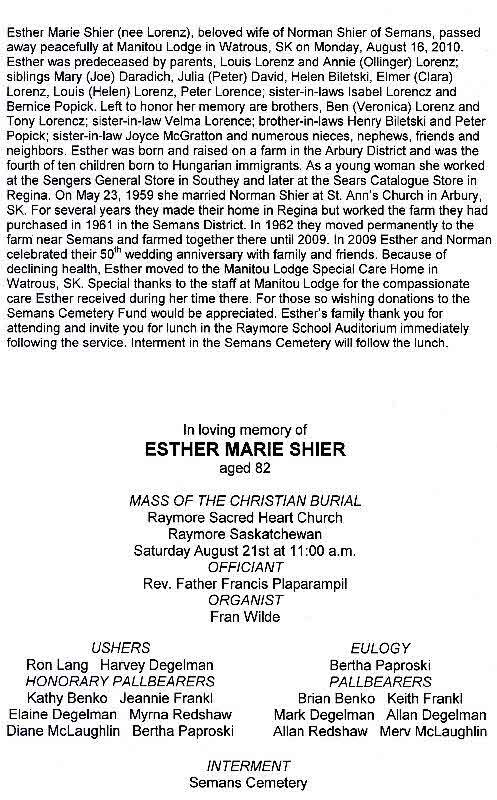 Burial* She was buried on 21 August 2010; Funeral from Raymore Sacred Heart Church with burial in Semans Cemetery. 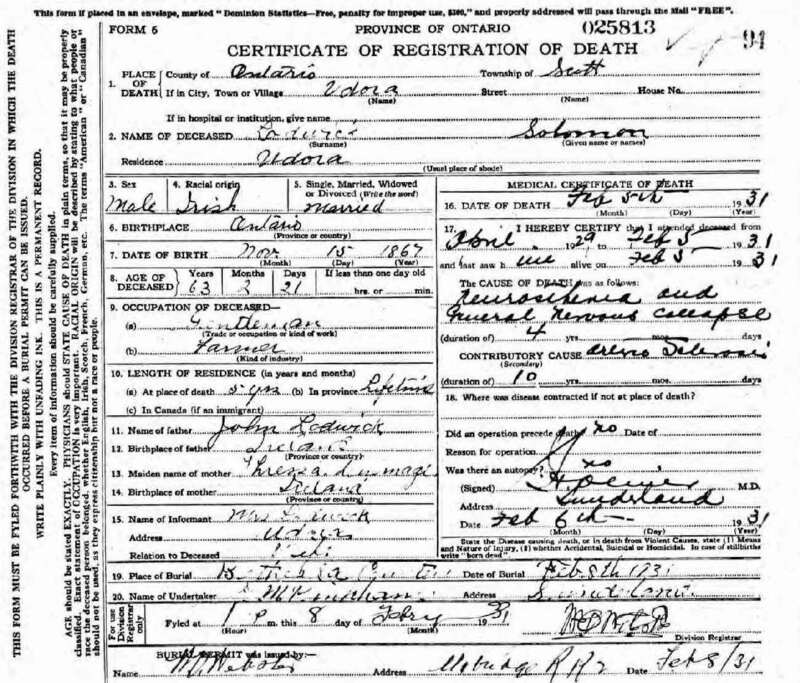 Marriage* She married Ogle Edgerton Daniel FREDERICK Shier, son of George Shier and Lois SAMANTHA Vrooman, on 29 September 1919 in Detroit, Wayne County, Michigan, United States. 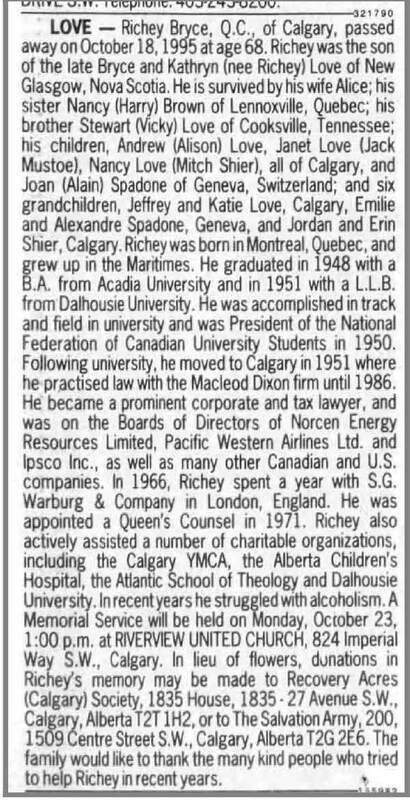 Death* Richey Bryce Love died on 18 October 1995.